South Africa is home to eight of the world’s top 10 deepest mines. The country has been one of the world’s largest gold producers for decades, even though gold production there has been declining in recent years. A mine is an artificially made pit from where minerals and other resources are extracted. The depth of a mine represents the elevation from the entrance to the deepest excavation point. The ranking below includes only operational mines, not the ones that are no longer in operation. For instance, the Empire Mine in California has a depth of 2.08 miles, but it’s no longer in operation. Similarly, the Kolar Gold Fields in India, which was 2 miles deep, was shut down in 2001 due to low levels of output after producing gold for centuries. When they run out of minerals at existing levels, mining companies prefer to go deeper in existing mines to extract more minerals instead of digging a new mine. 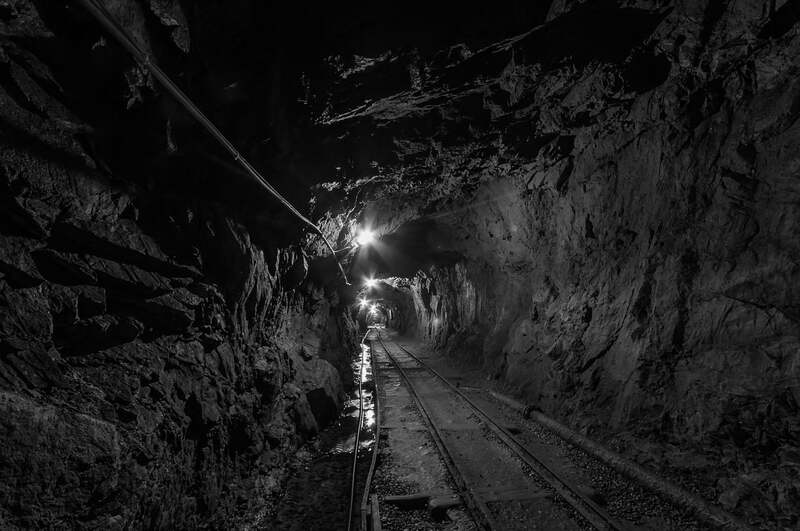 This 2.5 kilometers deep mine is located in the city of Greater Sudbury in Ontario. Owned and operated by Vale, it has been producing nickel since 1901. However, it’s expected to run out of reserves by 2024. It’s the deepest nickel mine in Canada. The mining methods used here include shrinkage mining, mechanized undercut-and-fill mining, and large-diameter blast-hole method. The mine is located in the Vaal River region near the town of Orkney. The Great Noligwa gold mine is owned and operated by AngloGold Ashanti. It has a maximum mining depth of 2.6 kilometers. The mine has more than 2,000 permanent employees. In recent years, miners in South Africa have been struggling due to rising labor costs, water shortage, employee strikes, and fluctuating gold prices. Racial tensions have also hurt the mining industry. It is an underground copper and zinc mine near the city of Timmins, Ontario. With a maximum depth of 2.93 kilometers, the Kidd Mine is the deepest base metal mine in the world. It is currently owned and operated by Glencore. Mining operations commenced in 1966 as an open pit mine, but it later became an underground mine. The seventh deepest mine on the planet has a maximum depth of 2.99 kilometers. Located near Johannesburg, the South Deep gold mine has enough reserves to keep producing gold up to 2092. It is owned and operated by Gold Fields. The mine recently underwent a major development project to ramp up its production. Owned and operated by AngloGold Ashanti, the Moab Khotsong gold mine began operations in 2003. It is located in the Vaal River region near the town of Orkney. It is the sixth deepest mine on the planet with a maximum depth of 3.05 kilometers below the surface. The mine is expected to keep producing gold until 2040. The Kusasalethu gold mine is located about 45 miles away from Johannesburg. It was previously known as Elandskraal mine and began operations in 1978. The mine is owned and operated by Harmony Gold Mining Co. The mine suffered a major incident in 2007 when more than 3,000 employees were trapped underground. All of them were brought back to the surface within 48 hours but 48 days of production was lost. The Driefontein mine is located in the Gauteng province near Carletonville. It goes 3.4 kilometers below the surface, earning a place among the top 10 deepest mines in the world. Owned by Gold Fields, it has been operating since 1952. It is expected to keep producing gold up to 2035. Driefontein is also one of the richest uranium reserves in South Africa. It is estimated to have 238 million tons of ore grading 0.0053% uranium. The Savuka gold mine goes 3.7 kilometers under the surface. It is located in the West Wits area of South Africa. It produced more than 37,000oz of gold in 2012. The mine is owned and operated by AngloGold Ashanti. It has shifted from the old longwall mining method to sequential grid mining in recent years. Located in the vicinity of Savuka gold mine and Mponeng mine in the West Wits region, TauTona gold mine has a maximum depth of 3.9 kilometers and has roughly 800 kilometers of tunnels. Owned and operated by AngloGold Ashanti, it shares the processing facilities with Savuka mine. TauTona has been operational since 1962, but the company is planning to shut it down due to the falling production levels. Digging deeper is also becoming dangerous for workers. With a depth of 4.0 kilometers, the Mponeng gold mine in South Africa is the world’s deepest mine. More than 5,000 tons of rock is mined every day from Mponeng. The mine is owned and operated by AngloGold Ashanti and has been operational since 1986. Gold output has declined dramatically over the last few years, forcing the miners to dig deeper. It is expected to remain operational until 2040.